In maths this week we have been looking really closely at place value, that means what a number is worth. At the beginning of the week we looked at reading and writing numbers worth up to a million. After that we moved onto investigating the value of each digit in a number, some of us even got up to 6 digit numbers! For example, 17,987 the value of the 9 is 900. Year 5W seemed to find this pretty easy. Next, we compared numbers using the more than, less than or equal to signs (crocodiles). Finally we looked at ordering numbers, putting HUGE numbers in order from smallest to biggest. 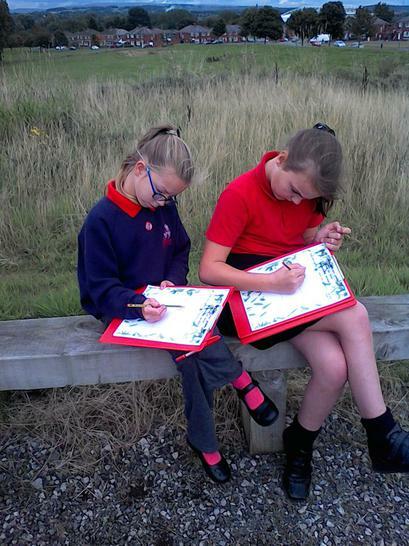 It’s been a very busy week for us in maths, our brains are frazzled! This week we have read and thoroughly enjoyed a story called ‘Bling’. It’s all about a boy called Billy and his cat Goji. Billy ends up having his biggest wish granted by a magical creature, similar to an elf, called a Chimichanga. His wish is for everything to be turned into gold, unfortunately Goji (his cat) ends up being turned into gold too! Even worse than Goji being turned into gold is the fact that we don’t know the end of the story! 5W decided to take matters into their own hands, they each filled out a police identification sheet which has all the important information on about the Chimichanga. Then they wrote a ‘WANTED’ poster, offering a reward to anybody who can help find this mythical creature and bring him back to 5W to tell us the rest of the story! 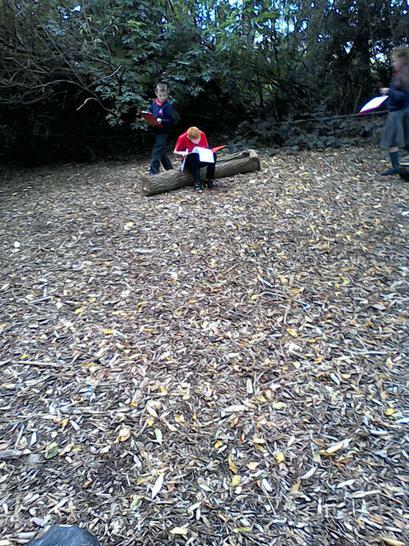 We have taken another trip to the ALPS this week in topic, in order to explore the different features of a woodland. 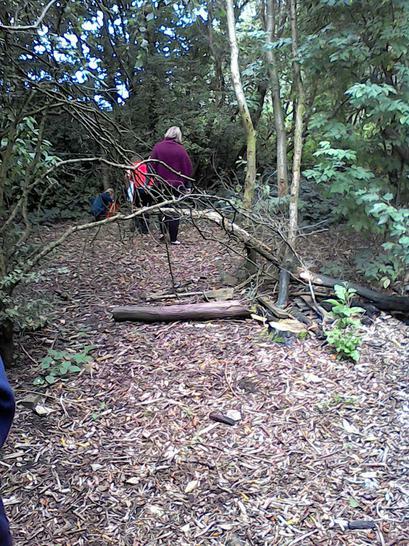 The children looked even closely at what we could find in our woodland. 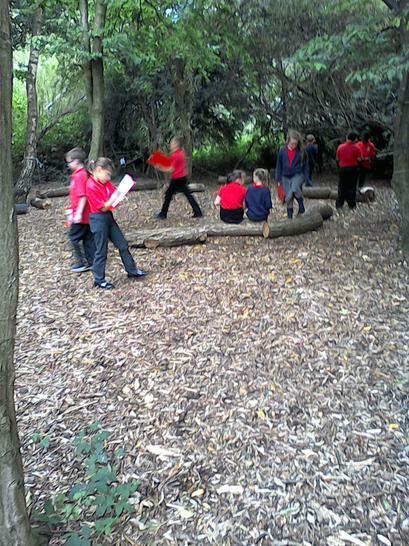 Woodlice, buttercups, clovers, spiders and even a grasshopper are just some of the examples of living things that 5W found. 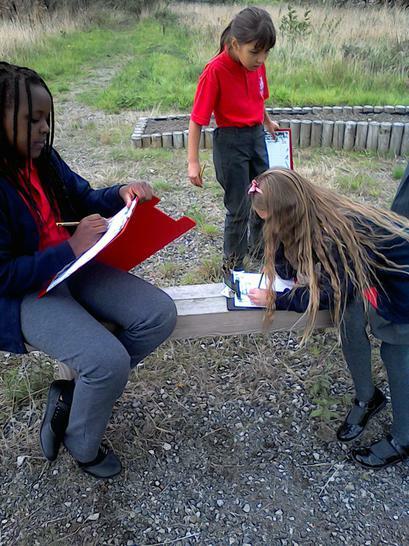 In science this week we have been looking at the parts of plant. We revisited the parts of a flowering plant such as the stem, leaves, flower and roots and their functions (the purpose of those parts). We moved onto looking even closer at the different parts of a flower, we even took apart some real flowers so we could actually see the parts in real life. We understand that a flower has male and female parts and we even looked at the functions of these parts in Friday's lesson. Its been a fun week in science! This weeks certificate winner is Ellis, for challenging himself in maths! He could easily compare and order numbers up to one million and tried extra hard to push himself when the numbers looked daunting! Fantastic work Ellis, well done! Hope you all have a super weekend and see you on Monday morning!